A goat provides milk, meat, manure, offspring, and income to an entire family for years. Your gift includes training on the best ways to care for the animal and to use what it produces. 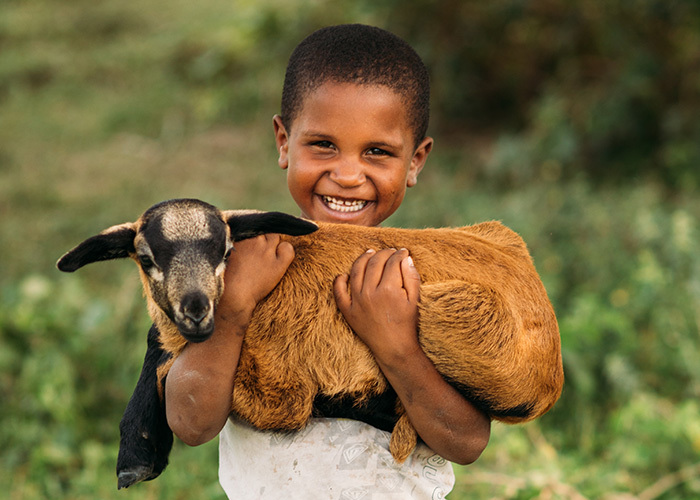 The recipient family will happily give the goat’s first kid to a neighbouring family in need.